Montreal, Canada, 16-10-2012 - Setting the table for aluminum, a design contest organized by Alcoa Canada Primary Products Group, culminated earlier today with an awards ceremony held at the Belvédère of Montréal Science Centre on the occasion of Mission Design's 'Facteur D' event. The unveiling of the winning firm took place in the company of numerous design sector stakeholders, Martin Brière, the newly appointed President of Alcoa Canada Primary Products Group, as well as contest partners Mario Gagnon, President of Association of Industrial Designers of Québec (ADIQ), and Louis Brassard, Industrial Development Adviser with the Ministry of Finance and Economy. Mr Brière proudly presented the grand prize valued at $25 000 to Mario Primeau and Marie-Josée Laberge of Primeau Designers (www.primeaudesign.com), the duo who won the competition with their clever Balcony eating area for urban dwellers, a concept tailored to perfection to small outdoor spaces. The product imagined by the designers quickly transforms a small balcony into a welcoming, comfortable eating area. 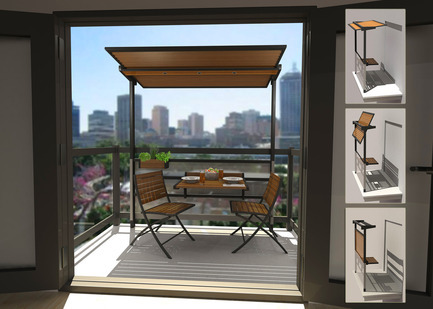 The concept comprises a structural component fixed to the balcony railing and fitted with a folding, adjustable table. On the structural uprights is a mechanism which operates the built-in brise-soleil which can be adjusted based on the angle of the sun. 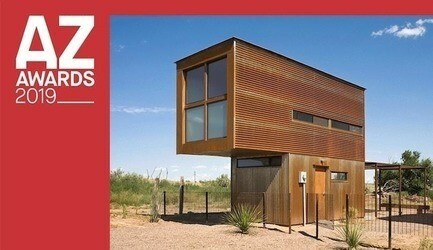 The concept also includes a solar lighting system complete with solar collector and LED bulbs. 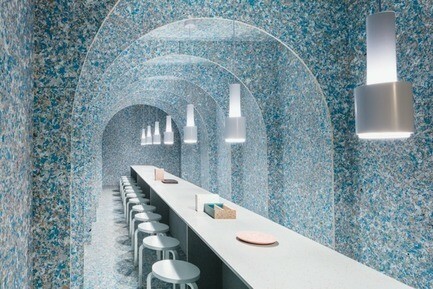 The winning firm was selected from among five finalists who each brilliantly rose to the challenge of designing a utilitarian object made primarily of aluminum and designed for the kitchen or world of the table. "We wish to thank all participants for their creative product entries. 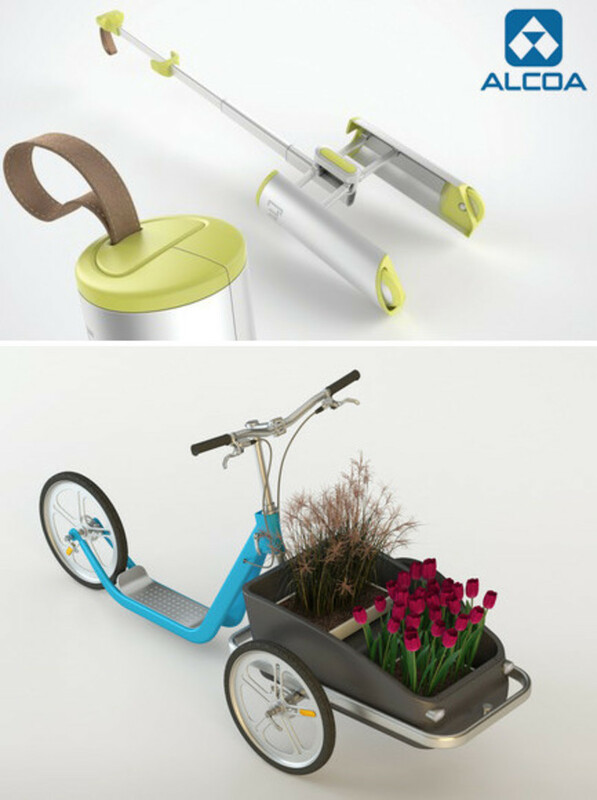 Each proved innovative from the dual standpoint of form and function and each showcased the potential of aluminum," stated Mr Brière. 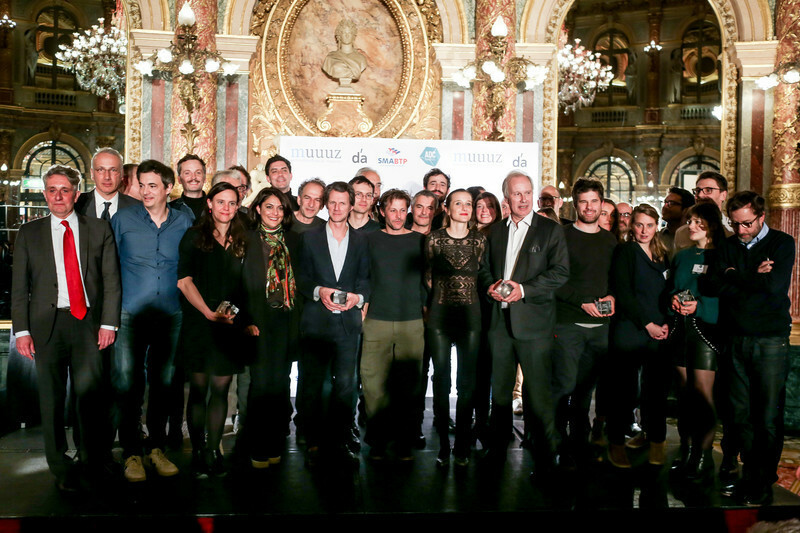 "We also heartily congratulate the winners and wish them every success going forward." 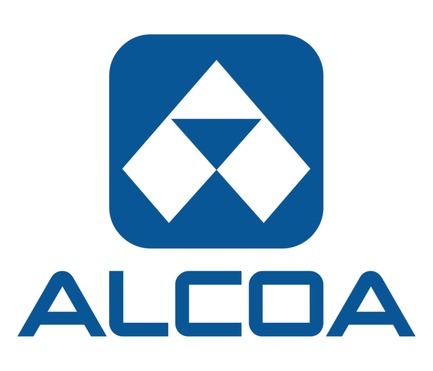 "The Association of Industrial Designers of Québec is extremely proud to participate in the Alcoa contest which is structured, professional and consistent with our objectives and long term vision," underscored Mr Gagnon. 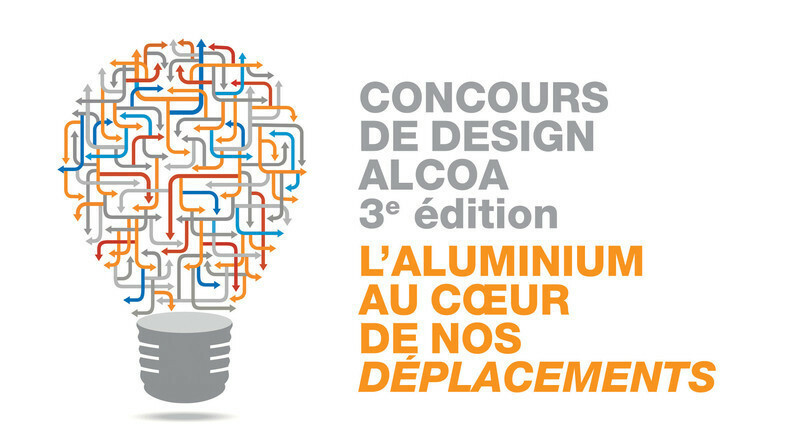 "The Government of Québec is equally proud to associate with Alcoa's design contest. 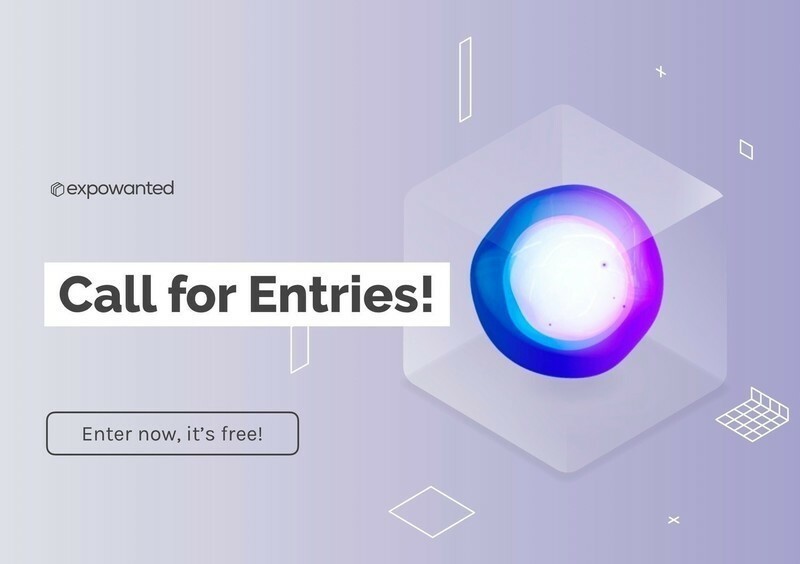 For us, it represents a unique opportunity to raise manufacturing sector awareness of the immense potential of industrial design for the development of value-added products. We are privileged to be able to rely upon a pool of qualified designers who contribute handsomely to enhancing Québec creativity and influence on the international stage," stated Élaine Zakaïb, Minister responsible for Industrial Policy and the Economic Development Bank of Québec. The panel of judges comprised the following individuals: Ginette Gadoury, Co-president of PID; François Racine, Manager, Business Development Alcoa Canada Primary Products Group; Madeleine de Villers, Industrial Designer, Founder and President of Zone; Mélanie Blanchette and François Nadon, owners of Bouillon Bilk restaurant; and, Chairperson Charles Godbout, Industrial Designer and President of Topo Design. 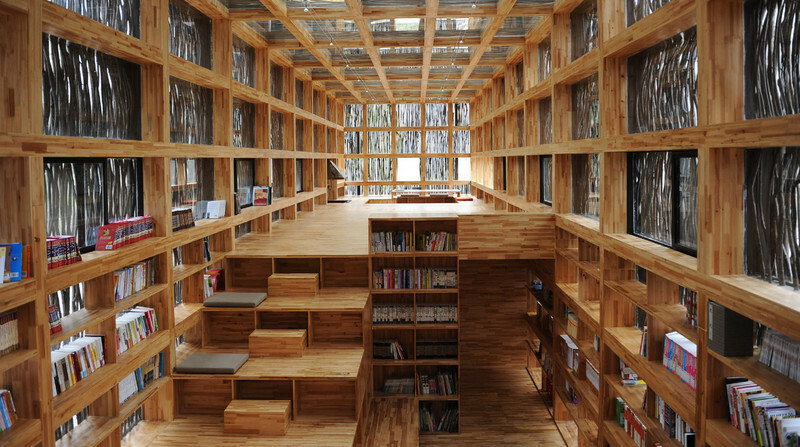 They were tasked with the imposing challenge of assessing and evaluating finalist entries. "Each of the five projects was attractive, ingenious and well thought out," indicated Mr Godbout. "Our choice finally settled on the entry from Mr Primeau and Ms Laberge who creatively and coherently exploited the full potential of aluminium with a concept ripe with the promise of market success." 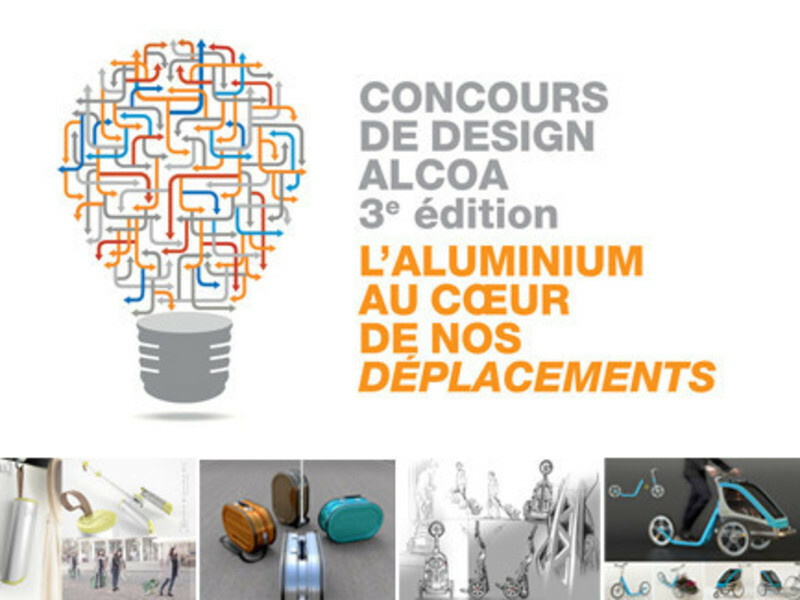 This announcement concluded the 2nd edition of the Alcoa design contest. Both graduates of Université de Montréal in Industrial Design, Mario Primeau and Marie-Josée Laberge together enjoy close to 50 years of experience in the field. 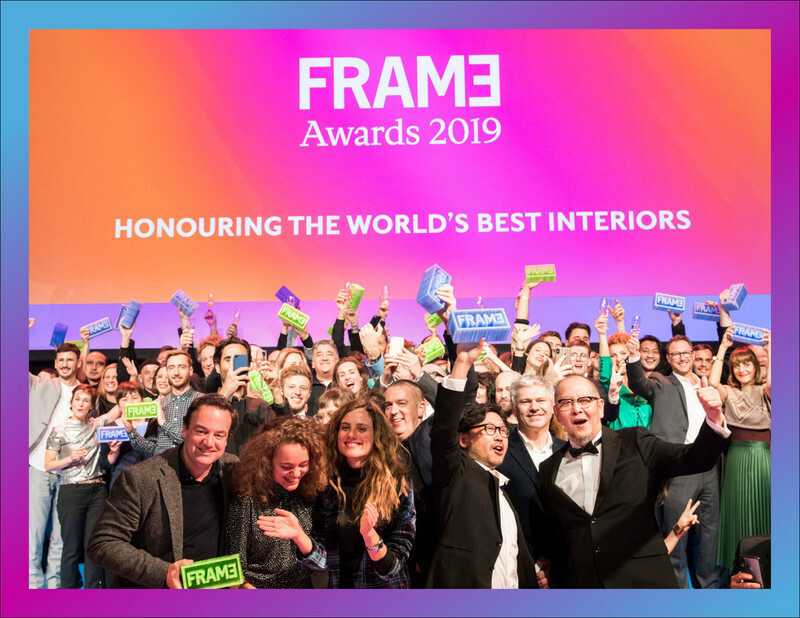 Members of ADIQ, they have together shared their passion for their chosen sector of endeavour within the ranks of Primeau Designers, a product design consultancy founded by Mr Primeau in 1985. 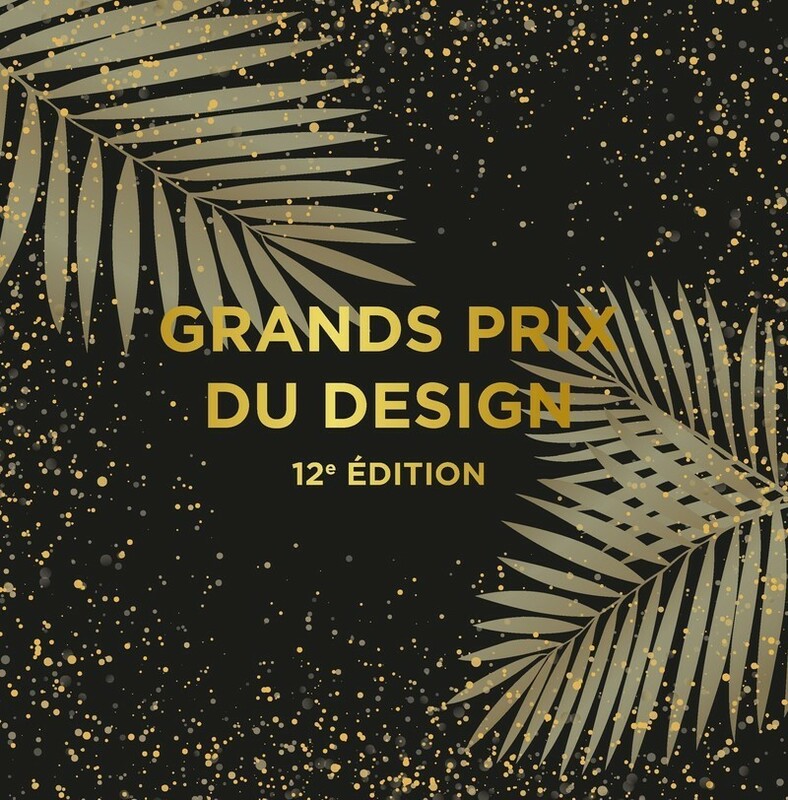 Primeau Designers has developed numerous consumer products using a wide range of materials and manufacturing processes for companies such as Atlantic Promotions, Aciflex, Security North, Trévi Pools, Hamelin Companies, RCR International and Kantech-Tyco. 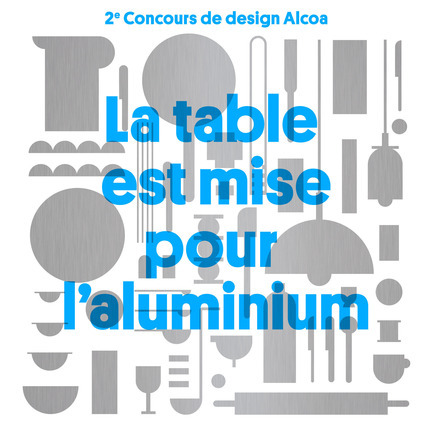 The 2nd edition of Alcoa's design, based on the theme Setting the table for aluminum, was launched on May 24th at the 24th Montréal International Design Show. 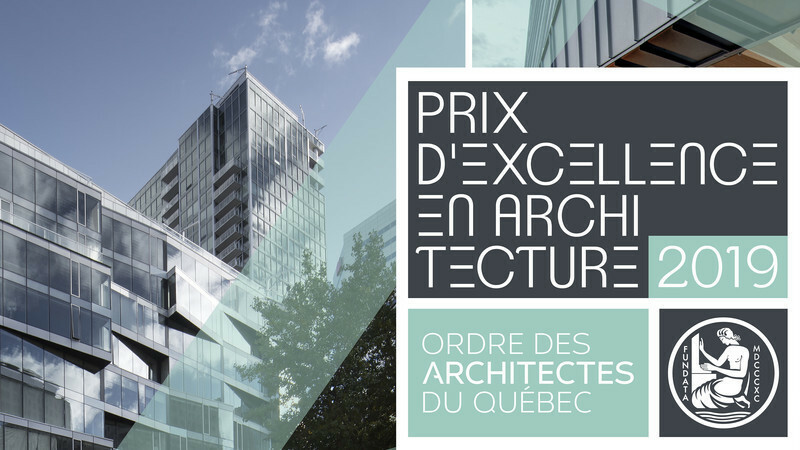 The contest, an initiative of Alcoa Canada Primary Products Group and partners, the Association of Industrial Designers of Québec and the Ministry of Finance and Economy, represents an exceptional forum for showcasing the creativity of Québec designers. 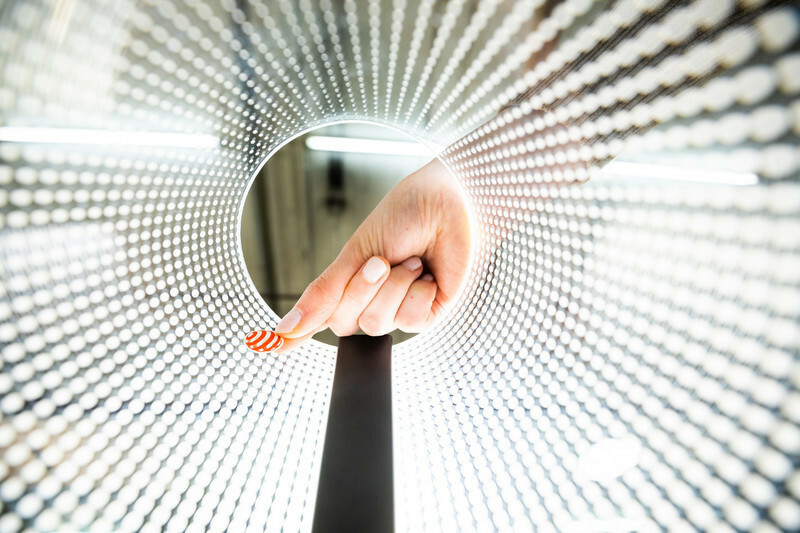 In addition to supporting the development of aluminum processing expertise locally, the contest also represents an original means of enhancing domestic use of aluminum.